Dogs who are rejected from the blood sport of fighting usually end up abandoned or in shelters, as was the case with pit bull mix, “Six.” After being burned with acid and left for dead, Six spent a year in the shelter system. Six was rescued by New York based animal rescue organizations, Guardians of Rescue and Save-A-Pet Animal Rescue, to be trained as a service dog. Sadly, his health has taken a turn for the worst, and the rescue groups are looking to the community for help. Through the joint efforts of the Paws of War program, the organizations assist veterans suffering from post-traumatic stress disorder. Animal therapy has proven to be beneficial in helping veterans overcome this condition. Six excelled in his training to become a therapy dog and was placed with a veteran employed in the Washington, DC area. Since then, the pair have been inseparable. Unfortunately, after he began to limp, Six was diagnosed with having a condition in his elbows and will need to undergo a bi-lateral orthopedic surgery. The surgery typically costs up to $10,000, and his new owner simply cannot afford the medical treatment. Graciously, Dr. Allan Carb of the New York Veterinary Specialty & Emergency Center, Farmingdale, New York, has stepped in to help, and have offered to perform the surgery at a reduced price of $3,000. “While the discounted rate for the surgery is so unbelievably giving, we still need help raising funds for this much needed operation,” says Dori Scofield, vice president of Guardians of Rescue, a non-profit animal rescue organization. “Six is a wonderful dog whose life is dedicated to helping others. Now it’s our turn to help him, and we are asking the community to please help in any way that they can,” he adds. To donate, or for more information about Guardians of Rescue, visit the site at www.guardiansofrescue.org. The National Association of Professional Pet Sitters (NAPPS), the only national nonprofit organization dedicated to serving the needs of professional pet sitters has launched a one-of-a-kind membership—created specifically for pet parents. In honor of National Pet Parent Day, celebrated annually in April, NAPPS announced that it would soon be offering a membership for pet lovers outside of the pet sitting industry. The new pet parent membership features several benefits, designed specifically with the pet parent in mind. “Through the pet parent membership, NAPPS is offering educational opportunities and several special deals and discounts, specifically for pet parents” said Sherry L. Suhosky, president of NAPPS. Charter Membership ($15.00) available April, 2013 – October, 2013 – Members will be able to receive this low rate membership rate as long as the membership is renewed on time. Gift Membership ($10.00) – Members are able to give memberships as gifts to clients, friends, family, etc. “The Pet Parent membership is perfect for anyone wishing to enhance or enrich their pet care knowledge on a wide variety of topics,” added Suhosky. For additional information, please visit www.petsitters.org. About NAPPS: NAPPS is the only national non-profit trade association dedicated to serving the needs of professional pet sitters. The Association aims to help the pet owning public, those interested in pet sitting, and professionals engaged in the in-home pet care industry by fulfilling its vision statement, serving as “the most respected authority in professional pet sitting.” It does so by providing the tools and support to foster the success of its members. Additionally, pet parents can benefit from NAPPS’ free resources including a disaster preparedness guide, tips on how to select a pet sitter, and a nationwide referral service,. To find a pet sitter in your area, check out NAPPS’ nationwide “Pet Sitter Locator” at www.petsitters.org. For more information on NAPPS, please follow@TheNAPPS on Twitter or join us on Facebook at facebook.com/TheNAPPS. The Wisconsin Humane Society (WHS) announced today that through September 30, 2013, any gift contributed to the WHS Racine Campus will be doubled, thanks to a matching grant from the Sam and Gene Johnson Community Fund. The fund will match up to $75,000, doubling the charitable impact of donations made to help Racine’s homeless, injured and abused animals. The Wisconsin Humane Society assumed the assets of Racine’s former Countryside Humane Society (CHS) on January 1, 2013. Since then, adoptions have doubled under the new management, and not a single animal in the adoption program has been euthanized for space or time, a policy WHS has adhered to since 1999. Although donations have surpassed the $24,000 that was raised in 2012 by CHS, WHS’s annual fundraising goal for the Racine Campus is a more aggressive $300,000. A successful matching campaign will ensure that the shelter makes its annual budget. To make a contribution, visit http://savinglives.wihumane.org/site/PageNavigator/Racine75Kmatch.html or simply mail your contribution to Wisconsin Humane Society, Attn: Racine Donations, 4500 W. Wisconsin Ave., Milwaukee, WI 53208. All donations made to the Racine Campus will be allocated to the organization’s shelter animals in Racine and are tax-deductible. BACK TO SCHOOL MEANS BACK TO HAWS! 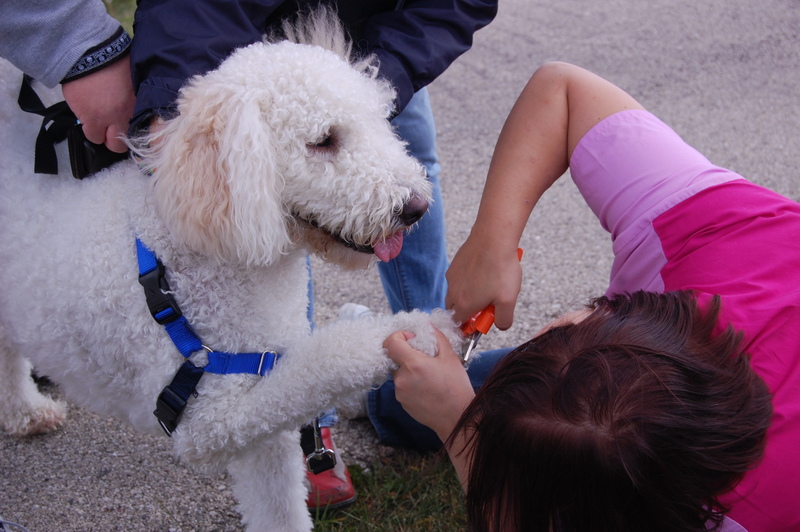 HAWS, the Humane Animal Welfare Society of Waukesha County, welcomes fall with learning and fun for pets and their people. Dr. Patricia McConnell helps dogs and humans speak the same language in “Lost in Translation?” at HAWS on September 25th at 6:30p.m. Become fluent in all things canine during this discussion of how dogs use sight, sounds, smell and touch to communicate. At $40 per attendee, this evening will be a sellout! Register today at hawspets.org. HAWS’ fall classes for 4-legged kids include Life Skills for Puppies, Basic Manners, Loose Leash Walking, Scent Work, Confident Canine, Dog Play – even Kitty College! Sessions fill quickly; enroll in one of HAWS’ many training classes by calling 262-542-8851, x114 or log on to hawspets.org. 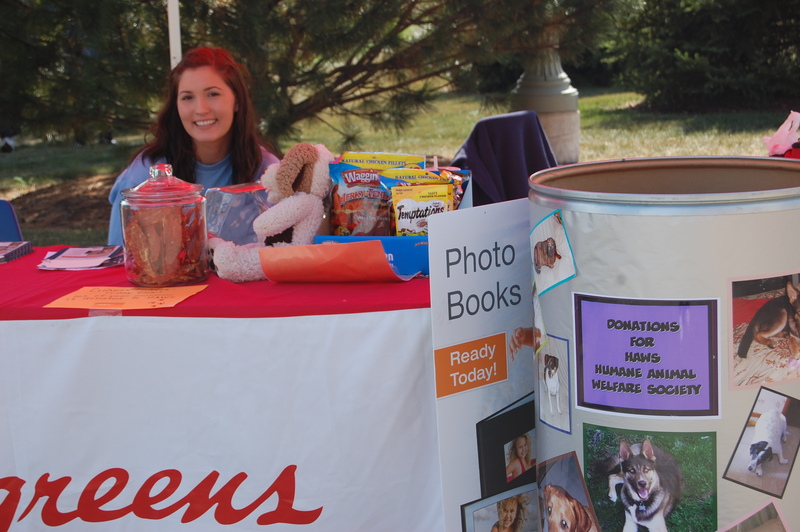 HAWS’ Mobile Adoption Center “brings happy tails to you” with special visits to Starbucks Muskego (9/5), North Prairie Harvest Fest (9/15), Walgreen’s Muskego (9/21) and Woodman’s Waukesha (9/22). Regular monthly visits to the Petco stores in Waukesha, Delafield and Germantown; PetSmart locations in Brookfield and Pewaukee; Hooves ‘n’ Paws, Oconomowoc and Pet Supplies ‘N More, Muskego round out the calendar. For details and info on bringing happy tails to your business click hawspets.org. Eat, drink and be scary! Tickets are now available for Haunted HAWS – the Halloween costume party/annual fundraiser set for October 18th from 5:30-9:30pm. Let the ‘ghoul’ times roll with a silent auction, dinner/dessert buffets, raffles, music by DJ Majic, the adoptable pets Costume Parade and more. Admission is $50/person; sponsorships and reserved tables are still available – call 262.542.8851, x112. Cedar Fort Publishing is pleased to announce the release of “Home Is Where the Dog Is: 1001 Things You Didn’t Know about Man’s Best Friend,” on the Sept. 10, 2013. Fall in love with your canine companion all over again as you read these unbelievable, heartwarming, and hilarious stories about man’s best friend. The ultimate book for dog lovers, this collection includes little-known and fascinating facts about the history of dogs and their influence on language, culture, and literature through the ages. Learn how mankind’s most steadfast companion has inspired the poetry of Sir Walter Scott, the invention of velcro, and the love of millions worldwide. “Home Is Where The Dog Is” is available for presale at Barnes & Noble, Amazon,and Books & Things websites. Max Cryer, MBE, is a New Zealand television producer, broadcaster, entertainment producer, singer, cabaret performer and author. He was educated in Vienna, Italy, and New Zealand, holds a master’s degree with honours in language and literature. His professional career began onstage at Sadlers Wells Opera, London, following which he appeared in TV in Berlin and films in Rome. Then came an international career in cabaret and a ten-year American contract with 17 tours in the United States as an entertainer in San Francisco, Chicago, Las Vegas and Hollywood.